Commons is our fully-supported member space - allowing private groups to engage and collaborate in customizable learning and team-building experiences. Commons utilizes CPRE's network of research and policy experts to promote a deeper understanding of special topics. CPRE works with private groups to co-construct learning experiences that can contain both online and in-person sessions, and offers services for a document repository, video and podcast archive, and discussion space. To learn more about how your organization can use Commons to unite research, policy, and practice around education reform issues, contact CPRE Knowledge Hub Director Bobbi Newman at bnewma@upenn.edu. As we continue with our theme focusing on rethinking public education we’ve noted that adding “platforms” to the “products” and “pipelines” metaphors requires shifting our leadership and managerial mindsets. It will, among other things, challenge us to better understand the factors in our districts that support and inhibit the innovations you seek to design and implement in your districts– such as problem and project based learning, mass customization, mass personalization, student-led learning, blended learning and others you’ve discussed in our meetings. 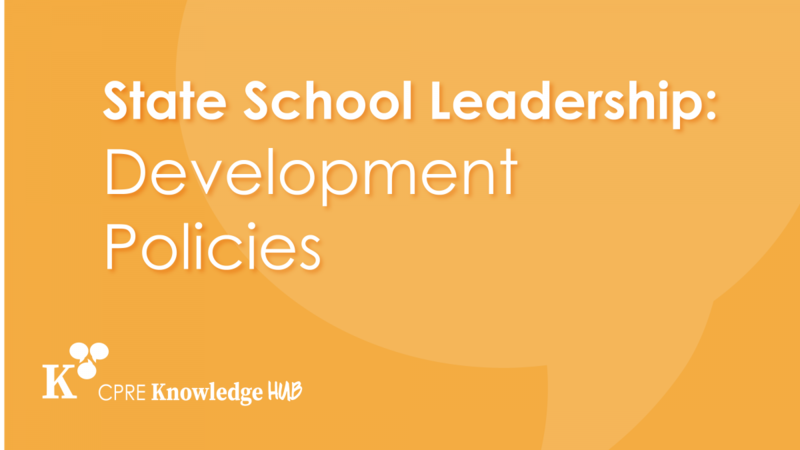 State boards of education in select states will partner with the CPRE Knowledge Hub to interact with researchers and other policymakers around the issue of school leadership development policies. The Knowledge Hub will create tailored videos for state board members to address their critical questions around school leadership development policies. 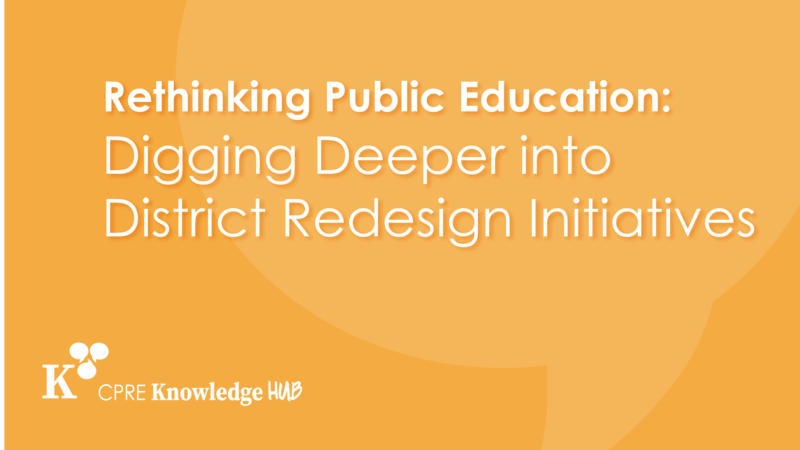 Through interactions with researchers, policymakers, and practitioners, the Knowledge Hub will support state board members to generate recommendations around general leadership structure to improve schools. Penn Excellence and Equity Consortia and CPRE Knowledge Hub are collaborating with school districts within the Consortia to identify policies and practices to make advanced level coursework on the secondary level more accessible to all students. 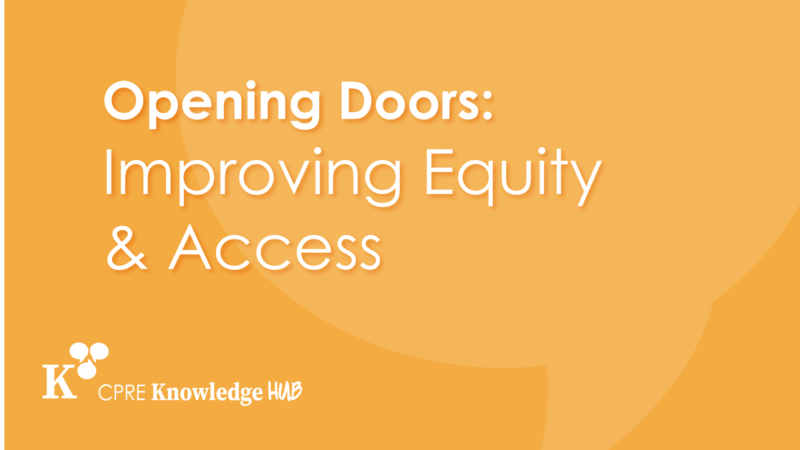 The Knowledge Hub will bring in experts from the field, create videos, share resources, and provide platforms – both in-person and online - to help the district personnel in developing strong plans to solve this issue in equity.